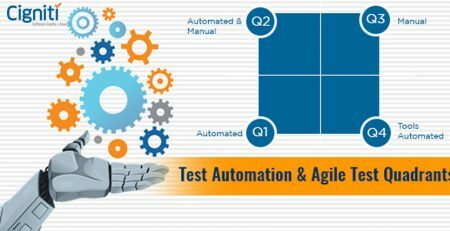 Agile Testing Methodology has been adopted by enterprises who need Continuous changes throughout the software development and testing lifecycle. The practice demands that development and testing activities are conducted alongside, which is very differently structured when compared to the Waterfall model. Hence, Agile Testing approach takes a completely contrary approach as against the traditional Testing approach. Reference to Enterprise Agile Planning Tools, Gartner defines that, ‘Enterprise agile planning (EAP) tools help organizations to make use of agile practices at scale to achieve enterprise-class agile development. 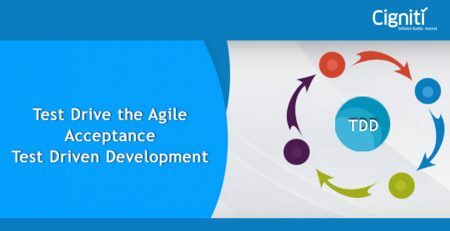 This is achieved by supporting practices that are business-outcome-driven, customer-centric, collaborative and cooperative, as well as with continual stakeholder feedback.’ This practically defines how Agile takes an absolutely distinct approach throughout the development cycle. In this post, we look at the 5 prominent ways in which Agile Testing works and serves the development teams differently in the Application/Software Development process. No application can afford to stay static and stagnate in the current digital growth scenario. Hence, there is a lot of focus on Continuous Development, Continuous Integration, and Continuous Growth. This is contrary to the regular practice of Development, where Testing is conducted towards the end, which indirectly impacts the application development and maintenance activity. With the continuous state of development, the testing and development teams collaborate within shorter cycles and deliver the task at hand. Consequently, the development process needs open channels of communication, discussions, and interchange of ideas. The initial line of reporting goes to the SCRUM team and later to the respective testing and development teams. Testing and Development teams need tools to support the continuous development and testing activities. The tools enable teams to automate and confirm that the previously implemented changes are not impacted by the recent ones. This involves test data generation tools, white-box testing tools, and data analytics tools, which are necessary in an agile ecosystem. Moreover, tools enable teams to define testing targets and work towards it with backtracking facilities. Automation of activities enable teams to keep pace with the Sprints by automating various features. This helps them to make frequent changes and implement the same on a continuous basis. The tools further enable collaborative working and contributions from all through the testing and development activities. As we have discussed, Agile Testing doesn’t take the conventional approach, where there is definite segmentation and hierarchical progression of the tasks. It needs collaboration across all teams and takes a parallel reporting structure. Hence, teams have to develop cross-functional capabilities, as there are definite chances that roles could get interchanged during the development or testing process. Even the suggestions related to various aspects within the application can come from team members with different capabilities and roles. Regular stand-up meetings and open channels of communication make the development process more collaborative and inventive for the application. The agile tester has a much bigger role to play in the wider set-up, which is to ensure quality and possess skills across the overall spectrum of development. Testing becomes the binding force in an Agile scenario, where they pair up with the developers for sprints. In the process every member is expected to stay receptive to constant changes and iterations, which could be governed by operational hiccups or client expectations, or related changes. 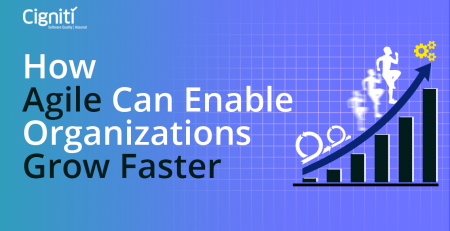 Business Agility has to be maintained by ensuring responsiveness. Even contribution towards the project can come from any corner of the team, which makes constant communication very much necessary in the form of test cases, daily statistics, or defect metrics. An Agile testing team must include excellent communicators for diverse situations. One of the key reasons for considering Agile is to ensure business agility in the form of quicker feedback mechanism and resulting action for the project. With daily stand-ups, design discussions, and reviews with user story verification, teams are able to generate quicker feedback. This helps to reduce the turnaround time that is needed for implementing the changes. Additionally, the team must be equipped and skilled to take up these changes on a continuous basis for implementation. Only when the changes are implemented continuously, Agile Testing will be able to deliver consistent value for enterprises. This can be challenging for organizations and teams who have been working in a traditional development scenario. Hence, a proper retraining/training programme is needed before adopting Agile Testing practices. Connect with our Agile experts for some interesting and resourceful insights.